Okay, I never liked this poem whose origin I never knew – but Dad would be called upon at EVERY celebration to recite it. Funny how this poem’s most avid supporter is gone, the poem has now become “mine”. I don’t know if it becomes me – but it makes people laugh. Martin – if you read this post – I dedicate this to you – not to say farewell – but to say, “thanks”. You showed up at the right place and at the right time. And you know Dad’s light flickered in appreciation. You were always a great friend to Dad and now a great support to my family and I. Merci and… Sante! 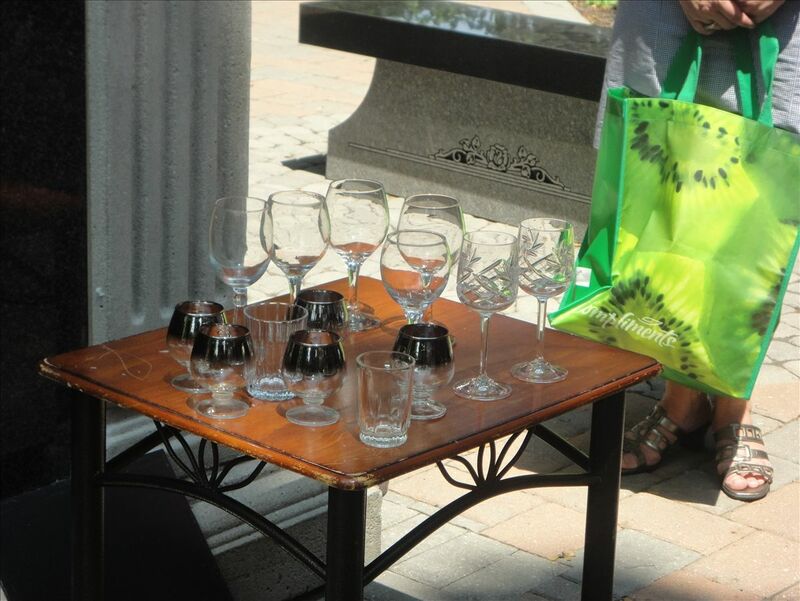 The table was set in the cemetery – a glass of wine for everyone. It was a celebration that Dad would have wanted and Mom would have prepared.